“Jefferson Bass” = Bill Bass & Jon Jefferson. The story is the sixth volume in the American body farm series. I have not read any of the earlier books, but I received this book for free during CrimeFest (probably one of those we won in the pub quiz). Dr Bill Brockton, forensic anthropologist, meets forensic analyst Angie St Clare when she participates in a course at the Body Farm in Tennessee. She runs off home after a phone call, and the following day she asks him for help. Her sister is dead, presumably suicide, but Angie is certain her husband killed her. Dr Brockton wants to get away from the quiet season in Tennessee so he obliges her and goes to Florida. Here he is also involved in a case involving the skull of an unidentified child. More skulls are found in Apalachee County, and a horrible case about children who have been abused unfolds. A good and interesting novel, and despite the theme and the writers´ knowledge about forensics, it is never too graphic for my taste. It is clear that the forensic elements and the theme of the young victims are in focus, however, meaning that they resort to a few coincidences to clear up the main case. This entry was posted in American, Jefferson Bass, review, review 2011. Bookmark the permalink. Not too graphic for your taste? Brrr…that sends chills down my spine. I head for the hills when I see forensics and gore, and just skip parts of books or don’t read them. Individual reading taste is very interesting. I wonder what accounts for it. A friend of mine, a retired ER nurse-practitioner — who I swear could work on a battlefield and not blink — doesn’t mind gore and forensics because she saw so much over decades. i could read a slew of books without it and be fine. Dorte – Thanks for a fine review. It takes a very skilled hand to tell a story like that without resorting to too much gore. That’s why I’m rather particular about the forensics thrillers and mysteries I read. Some aren’t gratuitous; in those, the mystery keeps your interest. But others get really gratuitous. I’m glad this one didn’t cross the line for you. I think I’m like you. The gore doesn’t bother me so much. In fact, I included scenes of forensics in my novel. Nothing too graphic but I think a lot of mysteries today include it. 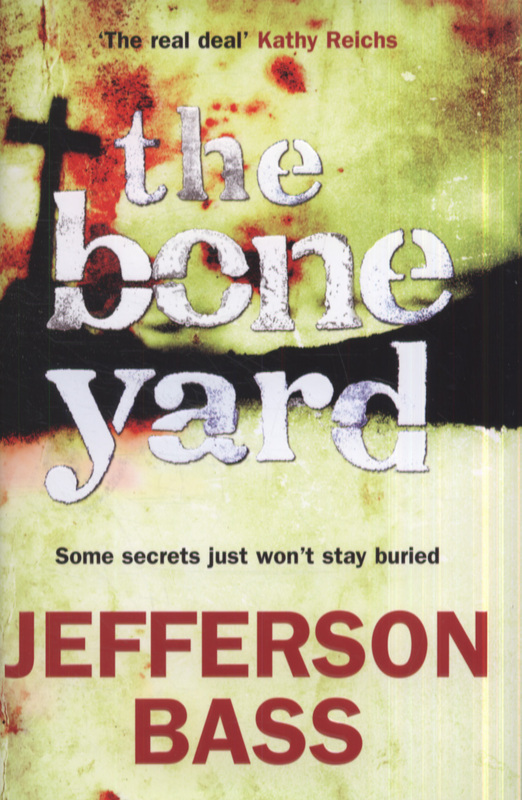 I haven’t read any of the Body Farm series, but I remember a couple episodes of “Bones” based on Kathy Reich’s novels that were partially set there, and I once saw a documentary on the real Body Farm in Tenn. or someplace. I always find these things fascinating rather than icky, but then I worked in medical offices and hospitals for years. I do remember years ago when I worked in a hospital administration office on a temp basis. The director was one of those guys who panics and wants everything done “yesterday.” I was running through the tunnel from the office to the hospital to retrieve a document when I came around a corner and smacked into a gurney with someone on it. I was apologizing when I realized the sheet was pulled over the face and the gurney was sitting outside the door of the morgue. Did I feel foolish! I tolerate gore sometimes depending on how it’s written. I didn’t mind The Snow Angels by Jim Thompson but I do mind some of the other writers I’ve read. I think I would probably enjoy this series. I still think it reminds me of the Patricia Cornwell books which I liked until they got too heavily into Scarpetta’s personal life. Good to see my readers can discuss with each other while I am nursing one of my marathon headaches. Sorry, Kathy, I should have stressed that the bones of those boys were very old. For me, old and dry bones are not scary. And like Barbara, I am rather fascinated by forensics. Kelly & Bernadette: this one is probably quieter than any of Cornwells, but still a good book in my opinion. I’ve seen this series but haven’t tried it out yet. It’s good to know it’s no problem reading the series out of order! Belle: I think Dr Brockton being a grandfather makes all the difference – many of the problems about reading out of order comes from all these private affairs in the detectives´ lives, don´t they? Child abuse is my least favorite plot. But in the right hands, I suppose…. Patti: me too. But it is very clear that the writers are as horrified by this kind of crime as you and I.
I happen to love books with lots of forensics. I haven’t heard of this one. Beth: I am sure you´d enjoy the forensic aspects of this one. That is their strongest point.